Marriage rates among adolescents are high in Malawi, where 42% of women 20-24 report being married by age 18 (UNICEF 2017). Important key contributing factors to the high rate of child marriage in Malawi are poverty and gender inequity. Moreover, in Malawi, there is lack of youth-friendly SRHR information and services. In 2017 Malawi’s parliament took a historic step towards ending child marriage, when it amended its constitution and removed a provision allowing children between the ages of 15 and 18 to marry with parental consent. This aligned the constitution with the Marriage, Divorce and Family Relations Act adopted in 2015, which set the minimum age of marriage at 18. However, the practice of child marriage is still widespread in everyday life. As the research partner within the MTBA, the Population Council is evaluating the interventions. It assesses the impact using baseline, midline and endline surveys to measure the effect of the interventions on key outcomes such as early marriage, pregnancy and school enrolment rates. The Council takes a closer look at factors that influence early marriage in each setting such as migration, poverty, and social customs. Also, the Council partners with program staff to design mobile monitoring and evaluation tools that can deliver a pertinent flow of information to be used by implementers. In the program, trained peer leaders are educating adolescent boys and girls in youth clubs on Sexual and Reproductive Health and Rights (SRHR) and the negative effects of child marriage. Mother Groups and Parent Teacher Associations are trained on their roles in supporting girls’ education as a vital step towards ending child marriage. Considering the economic factors contributing to child marriage in Malawi the program is placing considerable emphasis on the economic empowerment of girls through financial literacy training and the establishment of saving groups. Districts Child Protection Teams and local Child Protection Committees are being trained on their important role in ending child marriage. In addition, boys and girls are provided with access to YONECO’s child helpline. The program furthermore increases young people’s access to youth friendly SRHR services through awareness raising and outreach activities. Health workers are trained to provide youth friendly services and outreach workers (Youth Community-Based Distributing Agents) are trained to provide contraception to young people outside the health facilities. Men and boys are actively engaged to advocate against child marriage. Male champions in ending child marriage have been identified and trained. Moreover, by raising awareness in the community through social media and radio programmes, the project is enhancing a supportive environment to stop child marriages. At the national level, the MTBA members are engaged in policy dialogues with key policy makers and politicians. In Malawi, Simavi is implementing the programme through its partners YONECO and GENET in Mangochi, Mchinji and NkataBay districts. 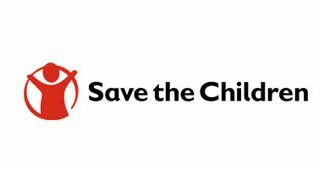 Save the Children Malawi is reinforcing the work with technical advice.